I think I'm all those peeps, except a young peep! You are too generous!! Hubby too! I am a blog peep! I am a newish peep! a Facebook and blog peep! What a lovely husband you have, and you're so sweet to share! I'm an old blog peep! Thank you for the wonderful giveaway! I guess I'm a Blog, Facebook, newbie Instagram, and a Liberty Lovin' Peep!! I'm a fabric loving, new to your blog peep! I think I am an old blog peep! Are you a new Peep? no. Fabric Peep? of course, is that a question? Guild Peep? no. I would love to come, but I work saturdays. Instagram Peep? no. I don't dare to add another onlie addiction to my list. Facebook Peep? There is a life outside Facebook? Liberty Lovin' Peep? Of course, my dear! What the heck is a Peep, Peep? a Peep is a peep is a peep. I am a blog-loving, Liberty-addicted peep! Thanks for the great giveaway! I'm a happy blog following fabric collecting liberty loving almost middle-aged peep who sometimes peeps! I am a blog peep who loves reading what you have to say. Thanks for your generous giveaway. I'm a new peep and I LOVE your blog and your beautiful work! Thanks for sharing! I'm a long-time hand-embroidery peep AND a relatively new-to-quilting peep! :) Gorgeous fabrics; thanks for sharing your awesome Liberty stash! sou um pio de blog que te admira,sou brasileira e tenho que agrade cer sempre por entradas internacionais,que por aqui tecido é dificil;Obrigada. I'm a blog-reading Flickr peep who also loves Liberty! thanks for this awesome giveaway! I'm a blog peep! Thanks for the chance to win! Major thanks to your hubby for this and you for letting it go! I am a blog peep, relatively old peep since I have been stalking you for a while. Well, I am a blog peep and a facebook peek. You were part of my Charmed Whirligig Tutorial Quilt Along quite a while ago. definitely a Liberty lovin' Peep, although I only have 2 fat quarters of it. I usually just admire it from afar, but I do love it! Thanks for the generous giveaway! Blog peep! and props to your husband peep! I'm just a peep who loves quilts... And Liberty ;-). So generous of you and you thoughtful husband! 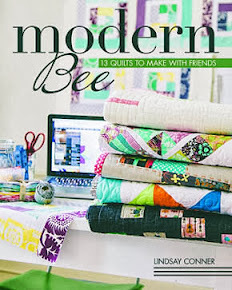 Thanks for the chance to win I am planning on making the Liberty Fields quilt from Sarah's first book but I won't be using Liberty this time, unless I win your giveaway of course! ok, actually I'm a Fabric Peep, and of course, a Liberty Lovin' one too. Though my tight budget doesn't allow me to own some :( tks fr the chance, hub and you are amazing! Wow - what an amazing giveaway! I am a blog peep and an instagram peep, and if by fabric peep you mean I love fabric, I am definitely a fabric peep! HELLO! I'M A 'PEEP' THAT IS IN LOVE WITH QUILTING! THANKS FOR A REALLY SWEET GIVEAWAY! you are far too honest. I'd have kept them. I'm a selfish peep. I'm a liberty-loving blog peep! I love you and your husband at this moment!! You are both amazing!! I guess I'm your #1 Fan Peep!!! hahahaha Thanks for the chance!! Just lovely! I'm an old peep following the blog when I have time! Glad I checked in now! I am an old local microwaved peep. Seriously, microwave a peep for 30 seconds and enjoy the peep show. I'm a Liberty-loving peep :) thanks for your generosity! I'm a blog peep! Thank you for your generous giveaway. These look amazing. what a great hubby you have! i'm a fabric, blog and newish peep. i've been following for a few months now. thanks for sharing! I'm both a blog peep and a Flickr peep-we were bee mates in the 4X5 bee awhile back (your Hawaii connection)! And how I would love to win this!!!!! And I completely understand why it hurts to share! I have been following you by email for a while so I guess that makes me an old blog Peep. If your husband is shopping for Liberty fabric, I really would like to follow him, just in case he drops a few. I am a blog peep. I am an old Liberty Lovin fabric blog peep:) Thanks so much for the chance to win these lovely fabrics! I'm a guild peep. I loved the story of your husband bringing you so much fabric. Thanks for the giveaway. I'm a jealous fabric loving blog peep! I am an old blog fabric Liberty lovin' peep! I'm a fabric loving old to your blog peep! New to your blog peep and definitely a Liberty-lusting peep! A fabric peep! and an I love Liberty Peep! and a Mama Peep. 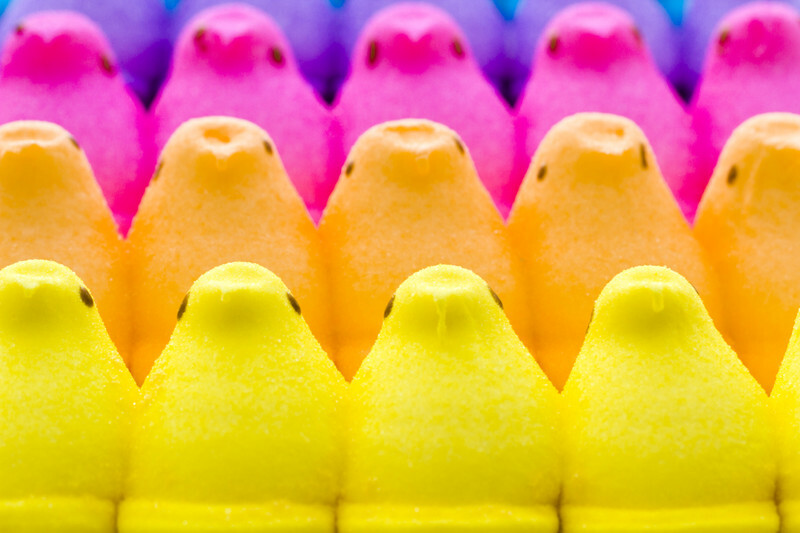 What the heck is a peep, peep? Although I think I've worked it out cause I'm in Canberra, Australia and you're in North California and I sure would like to give a Liberty fabric bundle a new home 'down under' - just LOVE Liberty! Wow! You are awesome and so is your husband! I am a EBMQG peep, a kinda local peep, a fabric peep, and last but not least a Liberty peep! If I am one of the very lucky winners, I'm going to have to find some Liberty scraps to share with you. What a great giveaway. I am an old blog peep. I'm a blog following kind of peep! This is so awesome :) Thanks!! Hah! I'm probably a blog peep (meaning that I follow you here). :) This is a really generous giveaway! Thanks for the chance to win some of these lovelies. Oh my gosh, these are beautiful fabrics! I'm an old chocoholic, peep lovin' peep! Lovely giveaway! I guess I'm a blog peep. Thanks for the chance! I'm the kind of peep who can't wait to get home and read my blogs! I am a cheep peep on a budget so would love to be a lucky peep (mcfarlanelyn@hotmail.com). I'm a blot peep. I love peeps too, by the way, I love 'em stale!!! Thanks for the chance!! You are the bestest Peep EVER!!! Oh goodness ... I am a multi-personality peep. Blog, Instagram, Fabric, Liberty Lovin'. If it has to do with fabric and quilting then I'm all about it! Thanks for the chance to win such a great giveaway! I'm a blog peep, definitely! I'm definitely a fabric peep. I think I qualify as an old peep but also definitely a fabric peep! Thanks for sharing the lovely Liberty! I'm a blog reading, quilt making old peep who loves Liberty! I'm ann old, blog, local, guild, instagram, facebook, Liberty lovin' peep. Ah excited peep here too! 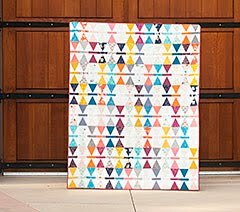 I'm a liberty loving quilty bloggy fabric peep, who is planning Sarah's medallion quilt using liberty so I would LOVE to win! You're amazingly generous! I'm a blog peep and a fabric peep! I'm a blog peep! What a generous husband! 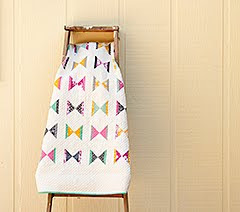 I'm an old email blog and fabric peep! Many thanks to you and your husband (he definitely earns points for this one!)! I'm an old, Liberty-loving fabric peep! Been following you for quite some time and love it! Thanks for the chance! I am a blog lurker peep :) I always read, but am bad and seldom make any comment. I am a blog, fabric-loving peep who has never even seen a scrap of Liberty fabric in person - isn't that tragic??!? Thanks for the chance to win and thank the hubby, too! A Liberty Lovin' Peep, though none in the stash, would love to have some to drool over. I am a blog peep. Thankyou for a chance to win. I have been following your blog for a while. i'm an old peep who's never seen a peep of liberty in person! I'm a blog peep, a fabric peep, a Southern peep, a peep-over-a-fire-on-a-smore, a princess-and-the-peep, a Sherlockian peep, a happy peep, a thankful peep, and an ADVENTURESOME peep! I'm a fabric peep who is feeling old today! I've never owned (or seen) Liberty in person. It's nice of you to share, but I can totally related to the difficulty in deciding what to keep--they're all lovely! Thanks for giving us all a chance to own some! I am a facebook peep, but instagram is quick and easy for me these days. I'm an old, fabricholic, quilting peep who loves Liberty fabrics. Thanks for the generous give away. I hope I win. I'm a middle aged, handquiltin' country peep. Great giveaway! I'm a blog peep...I think lol. I am an old, fabric loving, Liberty loving, blog loving peep. I am an old blog peep, new Instagram Peep, fabric peep and a Liberty Lovin' Peep. Solo estoy adivinando gracias a mis compañeras de comentarios que es un Peep? Estoy comunicada a usted por correo electrónico. Su esposo es un regalo del cielo! Sin dudas usted lo merece.Cariños. I am a Liberty Lovin' peep! I am a new email follower peep but a long time blog peep! Thanks for a generous and wonderful giveaway. I'm a broke peep! lol! I'm a college professor, new quilter and Liberty lovin' peep! I was in London last month and picked up a bit of Liberty and I was HOOKED! Going back in October to get more, but I don't know if I can wait that long!!! What a great opportunity! I'm making a hand pieced hexi quilt with my Liberty fabric! HI!!!! Fun give away!!!! 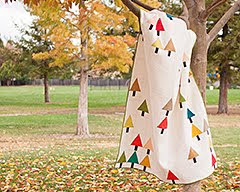 I am a quilt fabric and blog peep!!! Hello, I am a fabric and blog peep! Thanks for sharing such a lovely giveaway! Liberty Lovin' Peep? a b s o l u t e l y ! Fabric Peep? Is there any other sort ? What the heck is a Peep, Peep? and why not? I'm a blog peep and newly wed! I'm a Bloglovin' blog peep. Thanks. Oh my goodness - You and your hubby are very generous peeps!!!!! I am an older peep! I am a Blog peep.... sewandsowfarm! I am a Fabricholic peep! I am a new to Facebook peep! I am definitely a Liberty Loving Peep!! I am a keeping my fingers and toes crossed peep! Seriously, you guys rock - this is an awesome giveawy! Good luck everyone!!! I am a liberty loving peep - and like you I dont own enough - actually i only own one piece. A big thanks to you and you hubby! Wowza Adrianne! You are a very generous soul! I'm an old, local, guild, liberty-loving, blog-following peep! I'm a blog peep for awhile now. I've added FB too. I'm a liberty love peep who doesn't have any to my name. Thank you to you and your generous husband. 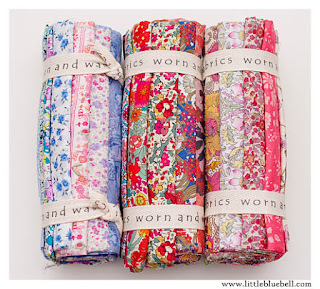 I am an old, blog peep who loves Liberty fabric more each time I see it. Wonderful Giveaway! I'm guessing I'm a What's a Peep Peep? but if I study the context, I'm probably a blog peep. I don't FB or instagram so I'm a bit of an old(fashioned) peep. Hahaha! Hi Adrianne, thank you very much for such a generous giveaway! 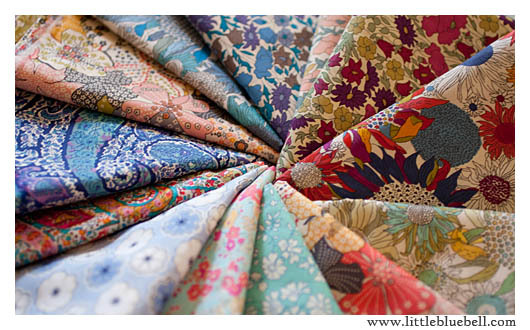 I looove Liberty fabrics. Coming from Australia, I am definately a "what the heck is a peep, peep"!!! I am a blog peep, definitely a fabric peep and Liberty love peep as well, and a new instagram peep! This is a most amazing giveaway' thank you! I'm a new peep, a blog peep, and a fabric peep! Thanks to you and your husband for an awesome giveaway! I gotta go with Guild Peep and I'd have to toss in flickr peep if there is such a thing. Thanks for the giveaway - so generous. I'm a blog peep. Thanks for the giveaway. Does old peep mean age or follower, I hate saying I'm old, but I am a gma...so I guess yes. Love fabric, in a guild, don't have a blog, but follow yours, local as in contra costa county, love liberty but don't have any...thanks for sharing! I am a blog peep. Thanks! P.S. Thank you to you and your hubby - you're so lovely and generous! An old, blog, fabric lover, crazy Peep-ity peep. I'm an Instagram, Blog Lovin', quilting peep. :) Thanks to you AND your husband for a chance to win! Blog peep! and fabric loving peep! Blog peep... and certainly an old peep! I am not sure what type of peep I am, but I know that when it comes to eating peeps I like to eat the old hard peeps the best! I'm a blog peep and a liberty lover too. I'm a patchwork peep, of course! Love those Liberty prints! I'm a fabric peep, definitely! I'm a local, blog peep. :) My, you're a strong woman. I'm not sure I could have given up any of that yumminess. I am a blog peep and a sewing peep. But I am also a Never eaten one of them peep. I am a blog peep and a fabric peep. 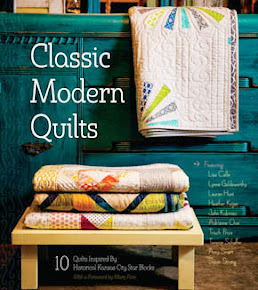 I discovered your blog when I first became interested in quilting several years ago. Your blog is one of my favorites. I am a blog, fabric, and liberty lovin peep! Most definitely a fabric peep! A blog peep? Yep...definitely a blog peep. I guess I'm a blog peep. I've been following you for a while and love your sense of style! I am a Liberty lovin peep. Thank you for the giveaway!!! I suppose I count as both Guild Peep and Blog Peep. :) Or maybe just a lurker on all counts. Definitely fabric peep! And blog peep. Oh, that lovely liberty fabric... come to mama!!! ;) you'll have lots of siblings! I'm a young, blog, fabric, local, guild, instagram, facebook, liberty lovin', jealous-of-your-husband's-fabric-picking-skills, don't-eat-me-I'm-gross peep. i'm a blog peep and a middle-aged one? thanks for the lovely and generous giveaway! i've never seen liberty fabric before. your husband is one awesome guy. I'm a blog and fabric loving peep! This peep is also a bit faint after seeing all the Liberty goodness you're willing to share. ;o) Wow! Thanks so much. I am a fabric peep and a Liberty loving peep. Thanks so much to you and your sweet husband for the fun giveaway! Beautiful fabric! I'm a blog, fabric peep! And I'm a new to loving Liberty peep too. I am a liberty lovin, fabric, facebook, blog, non-local peep. haha Thank you so much for the giveaway!! I am a long time follower peep, a fabric loving peep, a non-local peep, and a liberty loving peep. Thanks for the give away. Definitely a fabric peep and maybe an old peep - at least some days. I'm an old, blog, liberty loving peep! I'm an old to your blog, liberty lovin' peep - don't think I'm following you on Instagram peep. Need to check that out. Thanks so much for the incredibly generous giveaway. Peep! 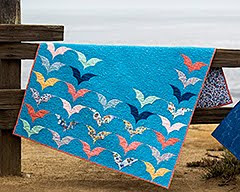 I'm a quilty blog peep!!! 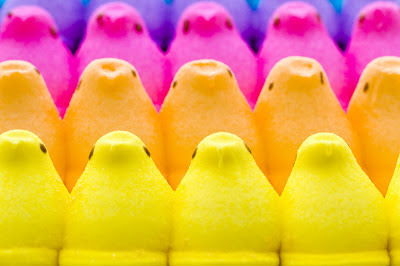 I'm a bloglovin' peep! Those fabrics are so yummy I just wanna wrap myself in a quilt made of these! Thank your hubby for us -- my hubby is much the same and very supportive of my quilting! Yeah Fabric Hubbies! I think I'm quite a few of those peeps. Let's give it a try: I'm an old(ish) peep, blog-reader peep, absolutely a fabric (hoarder) peep, Liberty fabric lovin' Peep, fellow Northern Californian Peep and a very grateful peep that you are choosing to share with your follows. I hope you survive this horrible heatwave and thanks for the chance to win. Oooh! Thanks for the chance to win! I follow you in my RSS reader... not sure what kind of peep that would be. I'm a long-time blog following Google reader missing-learning to use Bloglovin'-Liberty virgin peep! Hoping to lose my virginity soon! Wink-wink! I seem to fall in to several Peep Groups. Blog Peep,Fabric Peep & Guild Peep. I'm totally a fabric peep. When I saw your original photos, I immediately fell in love. I can't believe you're actually giving some away! I'm a new peep to your blog and to the quilting lifestyle (Dec 2012). I'm a mature peep. I bought a Liberty shirt and hat at Target several years ago before I really knew anything about them. I just liked the cute fabric so I guess I could be called a Liberty Peep. I am a gramma peep! I have 2 grandsons, Max age 2 and Henry, age 2 weeks and a granddaughter due to arrive in September. I have enjoyed sewing for them!! I think I am a fabric peep - I love fabric lots and started my stash last year. I love making quilts and kid's clothes, but don't yet have any Liberty! I'm an old peep, been reading your blog for a long time. Love it. Wow, thanks to you and your husband for the opportunity to win some gorgeous Liberty fabrics. I am an old Blog, Liberty Loving , new to Instagram peep. Fabric hoarding, use Liberty for myself or family only!--can't yet give it away to non Liberty lovers! I am a recently old peep, I have been following your blog for a few years now. I am also a fabric lovin peep, a quilting peep, a pinterest peep, facebook peep, etc. I think peeps are cute to look at but not as yummy to me as chocolate. :-) Thanks for a chance to win! I've been around for a good while, not sure how long really. I first read some of your postings from another site, and I can't remember the name now. I do remember that it had to do with fabric (ha!). I guess maybe I am an old peep if I can't remember so much. Your husband has amazing taste!